This was my first participation in the challenge. And, like a good half German, I obeyed all rules and posted every day (Sunday off for bad behavior), even with a 0600 scheduled publication. 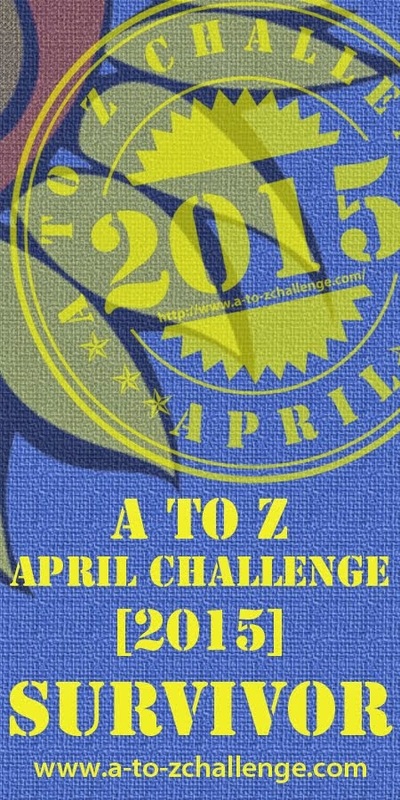 And I’d forgotten about the challenge until the end of March so these were real-time posts. Next year, if I am able to participate, I will write some well in advance of April 2016. For the work I put into this prose, I wish more had read them. But they aren’t going anywhere so I hope folks will stumble into the site going forward. I kept the blog site separate but link to my website – debrastrege.com – and have decided to incorporate relevant posts into that ongoing blog, especially since that blog effort lagged during this challenge. I am embarking on a new career of writing and speaking so this was a significant part of developing a new habit, finding my voice and expanding my audience. It offers hope that this time next year I will be much further down my new path. I hope my friends and followers will stay with me and grow. Hello world!